In this BigCommerce review, we cover the benefits, drawbacks and overall functionality of the BigCommerce platform. Our goal is to help you identify an eCommerce platform that fits your business needs. Cutter & Buck, Scullcandy, Sharp, Avery Dennison…they all made the move to BigCommerce. Why? Because BigCommerce is one of the leading eCommerce platforms in the industry. 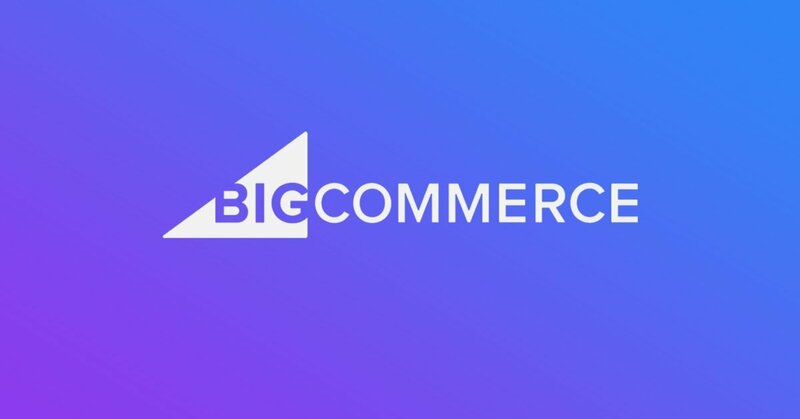 With over 120 countries served and $17 billion in merchant sales, BigCommerce works with a wide range of successful eCommerce companies and well-known brands. Their platform offers a variety of advanced features designed to help eCommerce stores across the spectrum grow online. Choosing a new eCommerce platform is a serious decision for any business. It isn’t something you try for a few weeks and hope it really is all your friends said it would be. It needs to be the right fit for your short-term and long-term growth goals and is nothing to rush into. It needs to be a platform invested in its customers...showing continuous growth and innovation to keep us with the ever changing landscape that is online shopping. The rise and development of eCommerce has given businesses the opportunity to expand on a larger scale more than ever before. However, with so many different eCommerce technologies available, it is difficult to decide what software is the best for your company. Hopefully this review sheds some light on the major benefits and potential drawbacks of BigCommerce, and highlights key takeaways to know about the platform before you make one of your company’s largest investments in online growth. The benefits of BigCommerce and its variety of features make it more than simply a website builder. From its general functionality to its scalability, security and more, BigCommerce provides you with the tools you need to expand and operate your online business seamlessly. BigCommerce’s software is designed to improve every aspect of your online store. Their platform lets you customize your website so that it is tailored to your personal preferences and brand. Their built in features drive traffic and revenue, taking both B2B and B2C businesses to the next level. That’s right...it supports both B2B and B2C. Whether you’re starting from scratch or migrating over from another platform, BigCommerce makes it easy to build a website that represents your business and everything you have to offer. It’s range of templates and customizable features ensures a streamline shopping experience for you and your customers. BigCommerce’s themes are high-converting and automatically optimized for various devices. 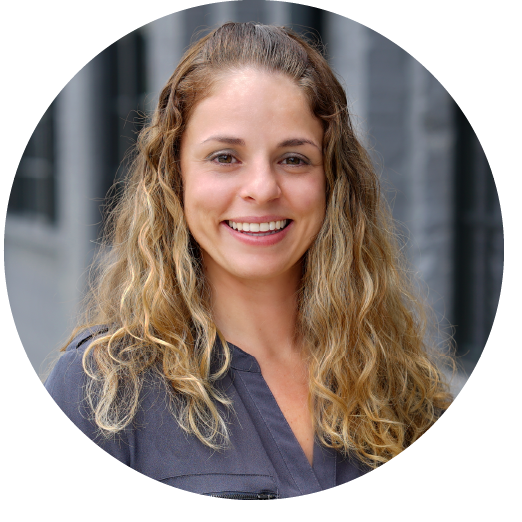 By taking care of the technical side, BigCommerce lets you focus on selling. Once you’ve created your website, you can operate your entire business in one place. Their full featured content management system is designed with an effortless efficiency, allowing you to manage your products and categories, process orders and inventory and integrate your system with the leading payment providers. BigCommerce’s omni-channel selling technology elevates your business by connecting with the modern buyer. This software integration creates a multi-channel experience and reaches customers wherever they choose to shop. Their seamless approach allows you to expand to multiple platforms while still managing everything from one, easily accessible place. The BigCommerce Channel Manager makes selling on multiple outlets simple. The Channel Manager acts as the hub for all of your channels. No matter where you sell your product, BigCommerce will process it through the channel manager with automatic syncing, eliminating overselling and facilitating easy expansion. This feature connects online marketplaces, physical stores, social media and online advertising. By listing your products on sites like Amazon and eBay, the omni-selling lets you reach customers immediately when they begin their search. Social media selling goes beyond connecting with consumers. When you sell to customers on the platform they already use every day, you will increase both your relevancy and your potential to make a sale. Software like the Channel Manager expands the reach of your company while simultaneously simplifying your overall operations. Search Engine Optimization is a key element of marketing your business in terms of driving traffic and increasing visitors. Your site’s optimization impacts where you rank in search results and ultimately determines how many people will end up finding your products. BigCommerce’s SEO features make the continuous optimization process simpler. When you design a customized website through BigCommerce, each page is built with HTML elements and hierarchy. Product pages also feature built in microdata that take ratings, pricing, brand, and stock level into account. Optimized URLs, rewrites and redirects make it easier for you to make adjustments to your website without risking 404 errors. BigCommerce’s auto-populated URLs quickly adapt based on any changes you have made. Additionally, their themes ensure your content is accessible and never duplicated by giving each pages a unique URL. BigCommerce’s content delivery network focuses on your website’s speed. Their CDN works to minimize loading time, leading to happier site visitors and a higher search engine ranking. BigCommerce’s software has a response time of ⅓ of a second and an average uptime of 99.99% compared to the industry average of 99.5% and Shopify’s 99.98%. While these differences may seem minimal, a site with 99.99% uptime may only be down a few minutes per year while one with 99.5% uptime could be down for almost two days - time that you can’t afford to lose in the fast, always moving eCommerce world. Your site can also be further optimized during high shopping events so that it’s prepared to handle a higher volume of traffic. The attention span of today’s consumer has significantly decreased. This CDN feature will help fulfill their need for convenience and speed. Security is a major factor and necessity when it comes to building your brand online. BigCommerce’s hosting and security features include unlimited bandwidth, fast content delivery, various domain names, and a shared SSL certificate. These technologies and more take care of your eCommerce hosting and security so that you don’t have to spend additional time and money managing multiple servers. Multi-layered security ensures that your store is protected. Perimeter and server-specific firewalls, file integrity scanners, intrusion detection software, and 24/7 human monitoring work together to prevent unauthorized access and potential threats. More advanced plans also offer DDOS protection to further protect your page. Integrating HTTPS into your entire site ensures that customers know your store is secure throughout their entire shopping process. This element of security will also keep you in line with Google’s current SEO requirements. Level 1 PCI Compliance further elevates your level of security when it comes to credit cards and data breaches. All of these features combined allow you to focus on selling, rather than the stress of security and shopper safety. As expected, BigCommerce is not perfect. There unfortunately isn’t a single platform that's gotten it 100% correct because the needs of eCommerce companies are so diverse. Not to mention, the industry is in a constant state of innovation...so as soon as someone has it “right,” it can become outdated in a matter of months and needs to be updated. What we like about BigCommerce is its attention to innovation and commitment to release new features and updates regularly. However, despite its many benefits, there are also some drawbacks that you should be aware of before you decide to buy. Sometimes we find a brand’s goals just aren’t in alignment with what BigCommerce offers and it’s important to know when it doesn’t make sense to make the move. Before investing your money in a platform like BigCommerce, make sure you understand all of the factors that impact the price you pay. The basics of BigCommerce pricing are outlined at the end of this post. However, one element of their pricing plans is important to note here as it can be a drawback for many fast growing companies. At first glance, the price of each of BigCommerce’s four plans is based on the extent of the features included. However, a major part of the price is actually based on your company’s online sales per year. The Standard plan only costs $29.95 a month, but is for businesses that make up to $50,000 per year. Once that allotted revenue is exceeded, BigCommerce automatically updates you to the next, more expensive Plus plan at $79.95 a month. If you reach the maximum sales volume of $150,000 per year with Plus, you will by upgraded to Pro automatically. With a larger cost of $249.95, you can have up to $400,000 annual sales. However, for every additional $200,000 in sales, you will be charged another $150 a month. If your annual revenue significantly increases, you arguably have a larger, more flexible budget to pay these higher fees. Some business owners see these price increases as a penalty for quick growth and success. However, keep in mind the additional features that come with these upgrades. The higher priced plans come with as many as 10 additional features including Google Reviews, stored credit cards, custom facets and more. One of the most notable upgrades is the Abandoned Cart Saver. This feature allows you to create three emails that automatically send to shoppers who have left your site without making a purchase. Other platforms such as Shopify, Volusion, and Squarespace offer similar abandoned cart tools, but only let you customize one email. BigCommerce’s Abandoned Cart Saver combines customization and convenience and can drastically increase the revenue of a high traffic site. Although these price increases as a result of higher sales may appear inconvenient at first, they benefit your company in the long run. This pricing plan essentially sets your business on a growth path that ensures that your technology develops as your customer base and revenue increase. Although BigCommerce offers a variety of customizable themes to fit your brand, only 7 of those themes are free. This limited number of free themes means that many companies will end up purchasing a theme to achieve the overall design they are looking for. The cost of paid themes is an additional cost that is not included in the overall monthly fee. The price of these themes range from $145 up to $235. Although these prices may seem minimal for larger companies, they can add up for smaller companies with tighter budgets when it comes to startup costs. If you have already reached the upper enterprise level in your industry, BigCommerce may not be the best fit for your company. BigCommerce is designed for companies both established and those looking to accelerate their growth, but ultimately delivers the most value for mid-market businesses. Though their Enterprise plan requires a custom price quote a ranges as a result, their Pro plan is designed for businesses who make up to $400,000 annually. The structure of BigCommerce is not necessarily built for high-volume businesses with yearly revenues greater than $100 million. This is not because they aren’t equipped to handle such figures, but because their target market is aimed towards mid-market businesses. Platforms like Salesforce’s Commerce Cloud (formerly Demandware) operate on a revenue share model intended for companies with high profit margins. Businesses with these kinds of margins tend to be luxury brands, which is why they make up the majority of Commerce Cloud’s clientele. In order to get the most overall value with BigCommerce, you need to understand where you fit in terms of product type, pricing, and revenue. BigCommerce leads the eCommerce industry for a reason, but that doesn’t mean they were built to serve every single business in the eCommerce world. The variety of clients and companies who work with BigCommerce creates a unique range of customer testimonials. From big names businesses like PayPal and Toyota to smaller success stories, these reviews can give you further insight into how your brand will improve with BigCommerce. We've worked with many eCommerce businesses and have several BigCommerce case studies demonstrating client success on the platform. When deciding what platform is right for you business, it’s important to understand all of the features they offer and how they will directly impact the growth of your company. However, other factors including contracts and price also play key roles in the decision making process. Choosing an eCommerce software may ultimately come down to the price and your current budget. BigCommerce offers a tiered pricing plan based on the number of online sales you have per year. Their plans are categorized as Standard, Plus, Pro, and Enterprise. The Standard plan starts at $29.95 a month for smaller businesses while the full-service Enterprise plan is based on a customizable price for high-powered companies The Plus and Pro plans cost $79.95 a month and $249.95 a month respectively. However, you have the option to save 10% on these two plans when you pay annually. BigCommerce also has $0 transaction fees for each of these plans, making it stand out from some of the other eCommerce platforms. This range of plans gives companies of all sizes and revenues the opportunity to work with BigCommerce. They also offer a 15-day free trial, so you have the chance to try before you buy. As noted above, there are additional fees and automatic payment upgrades that should be taken into account when considering price. Sorting through all of the existing eCommerce platforms and their various features can be overwhelming. Many of them seem (and are) similar. Reach out to your network and find folks that are leveraging BigCommerce and other platforms and ask them for their experience. This can also provide insight from a trusted source. Do your research and don't rely solely on name brands and numbers. Look for a company that is right for you and aligns with what you want to achieve. If BigCommerce and its many offerings will help you reach your goals, then they could be a great platform for your business in the long-term. If not, that’s okay too - BigCommerce isn’t for everyone. What’s important is that you find an eCommerce platform that puts your company on the path towards success. Interested in learning more about BigCommerce and eCommerce? Request a Free eCommerce Assessment below!